Hammam is an Arab-Turkish word that means " hot bath ". It is a later version of the Roman bath. It often includes three or four parts: a room at ambient temperature, the next room at a higher temperature, and so on. The word hammam also refers to the facility in which one takes these baths. 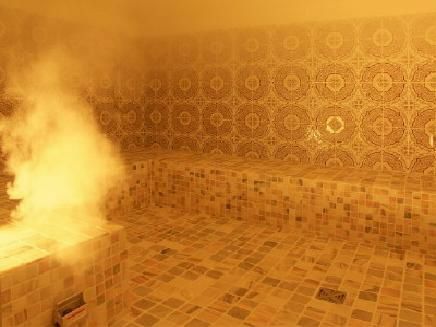 The hammam is renowned for its relaxing qualities due to its vasodilating effects. Thus, it relaxes muscles and soothes aches.